Upland cress (botanical name, Barbarea verna), also known as land cress or American cress, is a biennial (occasionally perennial) herb that is indigenous to Europe, where it has been a preferred salad plant since the 16th century. The plant variety that is native to Asia, Ethiopia and the Near East, where it is a rapidly growing annual species, is known as garden cress. The upland cress belongs to the family Crucifer and genus Barbarea. Conditional on the ecological conditions, the flower stalks of this herb-like plant grows up to 30 cm to 90 cm (about 12 inches to 36 inches) in height. While this popular cress plant produces delicate leaves resembling the curled parsley, the foliage is not as dense, but slighter. In addition, there is another variety of upland cress whose leaves are not very lacy, but are wider. The leaves of the common upland cress are lobed and glossy, having a delightfully zesty, spicy flavor reminding one of watercress, which is more overpowering. Both the upland cress as well as the garden cress are similar to dandelions, as all of these produce a rosette having an extremely small stem bearing a cluster of crowded leaves that radiate away from the stem in a circle that is more or less flat. While upland cress gives rise to a flowering stem, both varieties of cresses produce diverging taproots. While the upland cress bears yellowish flowers, the flowers of garden cress are small, having a white hue (occasionally also red), and are aromatic with a spicy flavor. Garden cress as well as upland cress both bear flowers during the end of spring and also afterwards, provided their seeds are sown late in the season. Compared to upland cress, the other variety - garden cress, is more widely accepted and is quite simpler to cultivate. In addition, it is also possible to grow garden cress indoors for use during the winter. The sprouts, leaves as well as the young buds of garden cress as well as upland cress are edible. There was a time when people employed upland cress in the form of traditional folk medication to facilitate healing of wounds. 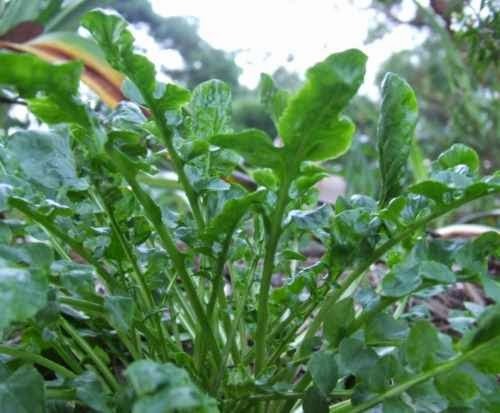 In fact, both upland cress as well as garden cress contain high amounts of iron, vitamin C, calcium. Both varieties particularly have extremely high vitamin A content. Vitamin A is key for good vision, a healthy immune system, and cell growth. Vitamin C may include protection against immune system deficiencies, cardiovascular disease, prenatal health problems, eye disease, and even skin wrinkling. Calcium is also a mineral important for strong bones and teeth. They are also used for culinary as well as craft purposes. The young leaves of cress may be consumed raw, after cooking or also employed in the form of a garnish. 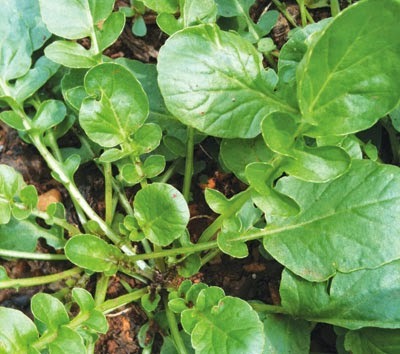 Similar to watercress, the leaves of upland cress also possess a fiery and peppery flavour and they are very appetizing when added to salads. Provided the seeds of the plant are sown in autumn and provided with some protection during the winter months, you can obtain the leaves of upland cress all through the year. The seeds of upland cress yield a form of edible oil. In addition, the sprouted seeds may also be included in salads - making the salad more delectable and spicy.